LVbet started their Easter promotion today, which will run until April 1st. There are several promotions running at the same time, so I will list them below and explain them. But you can also read all information on their promotions page. 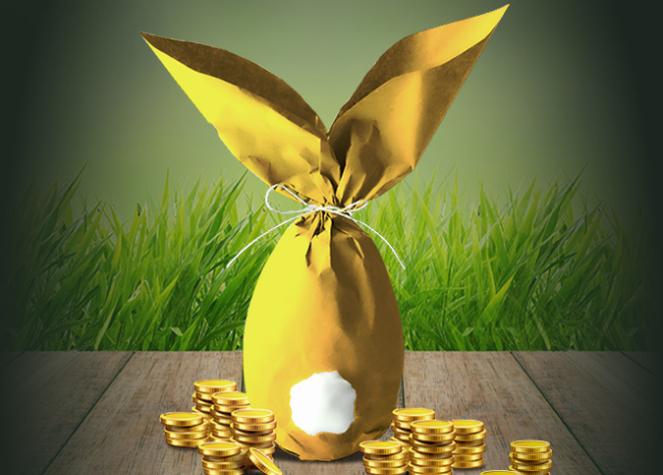 During all these promotions and tournaments you will receive Easter Eggs. The more eggs you collect, the higher the chance to win in their final raffle. Each day during the promotion you can claim a 25% reload bonus up to €100,-. And you will even receive some free spins depending on the amount you deposit. Daily slots tournament. Entering will award you with one egg. The winner will receive 50 eggs. But other places are also paid. On Monday April 2nd there will be a big Easter raffle. 50 players will be awarded with cash bonuses and free spins. Top award is €225,- and 250 free spins. Be sure to check out all the information on the LVbet website. If you don’t have an account yet, sign up and claim €10,- no deposit bonus and a lot more bonuses with your first four deposits. These bonuses also include a lot of extra free spins.